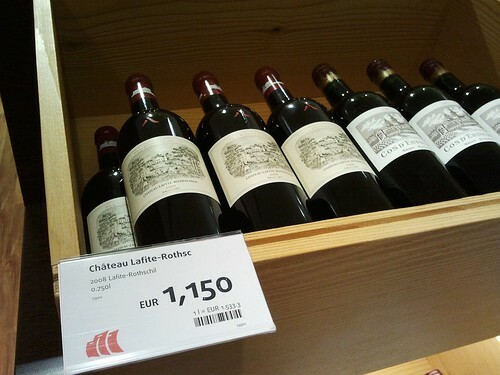 When talking about China and wine, “Château Lafite” is an inevitable topic, such big is the hype about this famous Pauillac estate. 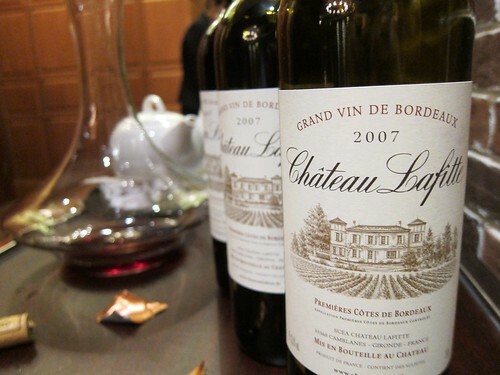 Some say the success of this Château in particular is linked to its uncomplicated name compared to other Bordeaux Chateaux’; it has a brand-name-quality to it which probably also helped making it the ultimate gift in China. 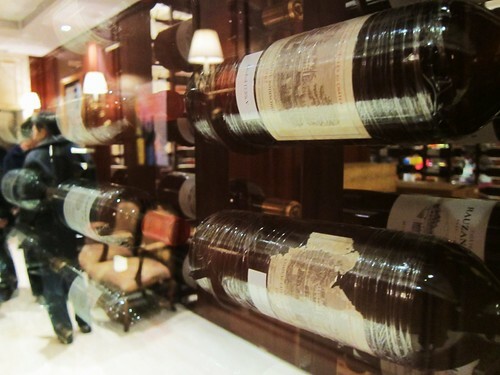 Everyone receiving a bottle of Lafite as a gift would instantly recognize its value . Funny enough: the actual Lafite we drank at “Sun Château” had 2 “t”‘s in its name; Château Lafitte is not a copycat from China, as mean tongues would probably suggest, but an existing estate from the Premières Côtes de Bordeaux (hence a Merlot-based wine). It is a light bodied, but pleasant Claret, that was also compatible with the eventual “Gambei’s” that are a habit at Chinese dinner tables. 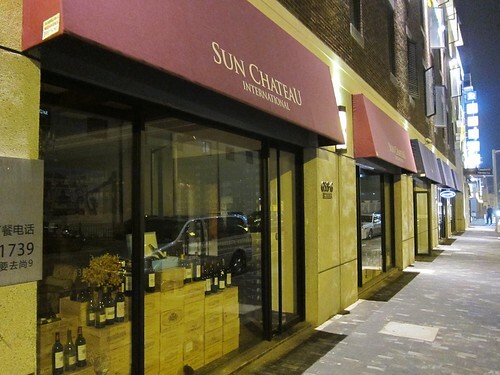 “Sun Château“, since I mentioned it a couple of times in this post, is a (obviously) wine-themed restaurant within the “Cool docks”, a few newly renovated warehouses located on the river. Interestingly, it is a Chinese restaurant with only a few French accents among the many Chinese dishes we were served. 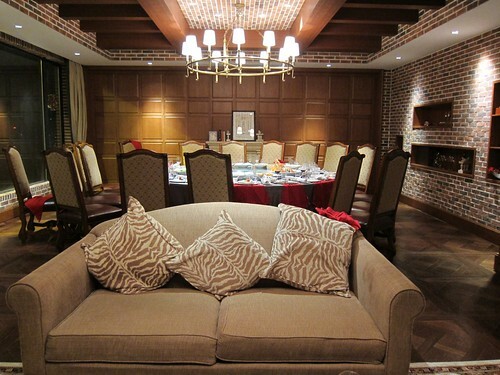 As in most upscale Chinese restaurants dinner can be served in privat dining rooms. 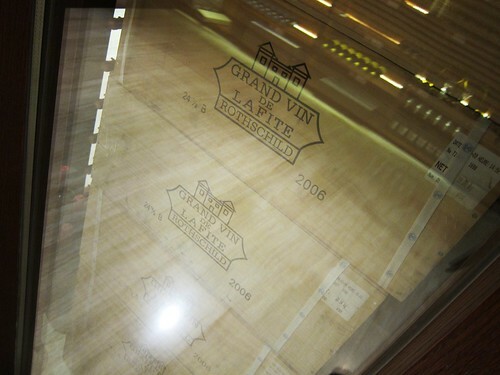 .. of course contains a few cases Lafite. But now I was only talking about Lafite although the title of this post also announced “the rise of Chinese wines”. And there is in fact such a development. 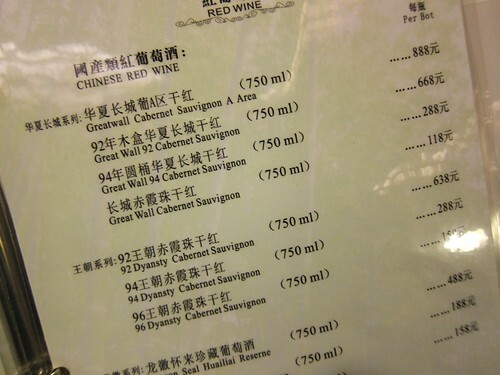 I could tell from the fact that nearly every upscale Chinese restaurant we went to during outr trip offered Chinese wines on their lists, and often, they weren’t the cheapest. Unfortunately, I didn’t have a chance to taste some. Our hosts were always pouring French wines, which on the other hand might show that Bordeaux is seen as the archetype of fine wine in China. 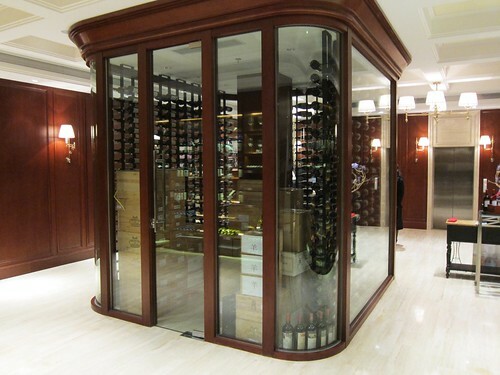 I’m therefore very curious about the future development of the Chinese wine industry. Unfortunately, I didn’t find an exact address for Sun Chateau, but if interested, just look out for the “Cool Docks” area. Thank You, Christian. And thanks for your deeper insights. I wouldn’t have thought that China already has 400 wineries! Curious about the shift that’s gonna happen once those wines are “accepted” on the world market! Cheers!